Eithne Ní Bhraonáin (born 17 May 1961), better known as Enya, is an Irish vocalist, instrumentalist and composer. The media sometimes refers to her by the Anglicized name, Enya Brennan; Enya is an approximate transliteration of how Eithne is pronounced in the Irish language, her native tongue. She began her musical career in 1980, when she briefly joined her family band Clannad, before leaving to pursue her solo career. She gained wider recognition from her appearance in the 1986 BBC series The Celts. Shortly afterward, her 1988 album Watermark propelled her to further international fame and she became known for her unique sound, characterised by voice-layering, folk melodies, synthesised backdrops and ethereal reverberations. With her blend of folk melodies, synthesized backdrops, and classical motifs, Enya created a distinctive style that more closely resembled new age than the folk and Celtic music that provided her initial influences. Enya is from Gweedore, County Donegal, Ireland, which she left in 1980 to join the Irish band Clannad, the group that already featured her older brothers and sisters. She stayed with Clannad for two years, then left, hooking up with producer Nicky Ryan and lyricist Roma Ryan, with whom she recorded film and television scores. The result was a successful album of TV music for the BBC. Enya then recorded Watermark (1988), which featured her distinctive, flowing music and multi-overdubbed trancelike singing; the album sold four million copies worldwide. Watermark established Enya as an international star and launched a successful career that lasted well into the '90s. Enya (born Eithne Ní Bhraonáin) was born into a musical family. Her father, Leo Brennan, was the leader of the Slieve Foy Band, a popular Irish show band; her mother was an amateur musician. Most important to Enya's career were her siblings, who formed Clannad in 1976 with several of their uncles. Enya joined the band as a keyboardist in 1979 and contributed to several of the group's popular television soundtracks. In 1982, she left Clannad, claiming that she was uninterested in following the pop direction the group had begun to pursue. Within a few years, she was commissioned, along with producer/arranger Nicky Ryan and lyricist Roma Ryan, to provide the score for a BBC-TV series called The Celts. The soundtrack was released in 1986 as her eponymous solo album. Enya didn't receive much notice, but Enya and the Ryans' second effort, Watermark, became a surprise hit upon its release in 1988. "Orinoco Flow," the first single, became a number one hit in Britain, helping the album eventually sell eight million copies worldwide. Enya spent the years following the success of Watermark rather quietly; her most notable appearance was a cameo on Sinéad O'Connor's I Do Not Want What I Haven't Got. She finally released Shepherd Moons, her follow-up to Watermark, in 1991. Shepherd Moons was even more successful than its predecessor, eventually selling over ten million copies worldwide; it entered the U.S. charts at number 17 and remained in the Top 200 for almost four years. Again, Enya was slow to follow up on the success of Shepherd Moons, spending nearly four years working on her fourth album. The record, entitled Memory of Trees, was released in December 1995. Memory of Trees entered the U.S. charts at number nine and sold over two million copies within its first year of release. In 1997 came the release of a greatest-hits collection, Paint the Sky with Stars: The Best of Enya, which featured two new songs. Enya's first album of new material in five years, Day Without Rain, was released in late 2000. In 2002, she contributed material to the first film in Peter Jackson's award-winning Lord of the Rings trilogy, scoring a hit with the single "May It Be." Amarantine, her first full-length recording since Day Without Rain, followed in November 2005. A holiday EP, Christmas Secrets, arrived in 2006. Much of her music shows influence of traditional Irish, Celtic and classical music. As a musical group, Enya represents a partnership between three people: Enya herself, who composes and performs the music; Nicky Ryan, who produces the albums; and Roma Ryan, who writes the lyrics in various languages, except Gaelic, in which Enya will render the lyrics herself. Enya performs all percussion, instruments, and vocals in her pieces unless specified. Although there are certain pieces where acoustic instruments are featured, almost all sounds of her pieces are created by a synthesiser. Her trademark sound is achieved by layering her voice as many as 80 times. Her signature sound is renowned for using simple arrangements with extensive multi-tracking vocals. She has stated in an interview that she has once dubbed her voice to about 500 times. The vocals are each performed individually, and are layered together to form a virtual choir, although all the voices are Enya herself. In "Cursum Perficio" of the album Watermark, Enya reaches a C an octave below middle C. Later in the piece, she sings a high A-flat above the treble clef. On the album Amarantine, Enya sings in Japanese and Loxian, a language invented by Roma Ryan. While most of her songs are sung in English, some of Enya's songs are sung entirely in Irish or Latin. Enya has also sung songs written entirely or partially in Welsh, Spanish, French, and even languages created by J. R. R. Tolkien. Enya has performed songs relating to J. R. R. Tolkien's The Lord of the Rings, including 1991's "Lothlórien" (instrumental), 2001's "May It Be" (sung in English and Quenya), and "Aníron" (in Sindarin)—the last two, which she composed, appearing on the soundtrack of Peter Jackson's movie The Lord of the Rings: The Fellowship of the Ring. Enya has given several live performances on various television shows, events and ceremonies (her most recent appearance was in Gaoth Dobhair in the summer of 2005, which coincided with a tribute event to the Brennan family that took place in Letterkenny), but she has yet to do a concert. She has said, though, that she would love to do it someday, and would consider it a great challenge. Although her Grammys were for "Best New Age Album", Enya does not personally classify her music as belonging to the New Age genre. When asked what genre she would classify her music as belonging to, she would reply, "Enya". In 2000, Warner Music released Enya: The Video Collection on DVD in Europe, South Africa and Asia, collecting all her videos from "Orinoco Flow" up to and including "Wild Child", except for the video from "Book of Days", which was replaced by a live TV performance due to licensing complications relating to the video's use of footage from the film Far and Away. This release was a successor to an earlier collection of videos entitled Moonshadows, which was released on VHS and laserdisc in 1992. The DVD release also included interviews and features on the making of two videos. A North American (Region 1) release of the Video Collection DVD was announced on several occasions during 2000-2001, but it did not occur; the reason for which has never been officially stated. At one point it was announced that the release had been delayed in order to allow the inclusion of the video for "May it Be", while the (now defunct) fan sites reported that a dispute over the sound quality of the release led to it being withdrawn. Bootleg copies from Asia have circulated at the retail level in some parts of Region 1 since 2000. As late as 2005 online retailers such as Amazon.com continued to list the DVD as "coming soon". In November 2009, the deluxe version of the compilation release The Very Best of Enya included a DVD bonus disc containing most (but not all) of the music videos from the 2001 release, along with the documentaries from that release, and videos from Enya's post-2001 albums. This time the release of the DVD (formatted as Region 0) included North America. 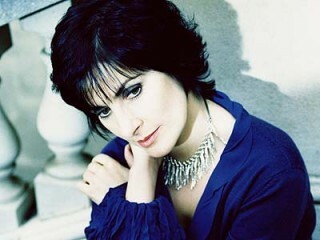 As a member of her family's band Clannad, Enya formed a friendship with producer/manager Nicky Ryan. After working with Ryan for seven years, Clannad began looking for another producer. Differences in opinion about the future marketing of the band resulted in an acrimonious split among the group, causing Ryan and Enya to part company with Clannad to pursue a solo career. Following the split, Enya moved in with Nicky and Roma Ryan and constructed a small studio in a shed. Enya began giving piano lessons to earn some income, while the Ryans waited for inspiration to strike. Eventually a call from the BBC resulted in a commission to score music for The Celts television documentary series, and larger success would slowly follow. Beginning with Watermark, Enya began to attract the attention of stalkers, several of whom succeeded in breaking into her castle and attacking some of the staff. As a result, Enya spent an estimated €250,000 on security measures for her home, Manderley Castle in Killiney, County Dublin (named after Maxim de Winter's house in her favourite book and black and white movie, Rebecca). In 1996, a man, who had been seen in Dublin wearing her photograph around his neck, stabbed himself after being ejected from her parents' pub in Gaoth Dobhair, County Donegal. In 2006, Enya made it to the number three spot in the ranks of wealthy Irish entertainers with an estimated fortune of €109 million (i.e., £75 million or US$165 million). This was enough to take her to number 95 in the Sunday Times Rich List 2006 of the 250 Wealthiest Irish People. Enya loves cats. In an interview published in 1988, when asked about pets, she replied: "I've got a cat. I love cats; at one stage I had 12. It was just bliss. They'd all lie around in the sun and then come up and climb around my neck". Enya's favourite classical composer is Sergei Rachmaninoff. Her hobbies include watching romantic black and white films, collecting artwork, reading, and watercolour painting. View the full website biography of Enya.